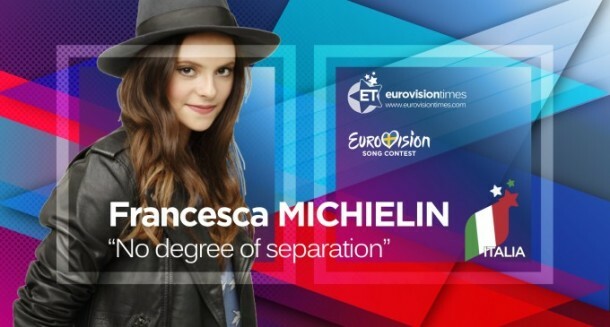 Francesca Michielin sings “No Degree Of Separation” at Eurovision Song Contest 2016 | Marbella Marbella – Adelante! Francesca Michielin of Italy sang “No Degree Of Separation” arguably one of the best and well orchestrated songs of the international music event, though she gained less points in the voting than could have been expected. Some questions concerns me; Why are the majority of songs now sung in English and not in their national languages? Is this part of a gradual cultural programming of the masses? What is Australia doing in the Eurovision Song Contest? If we wish to expand the competition into a world wide International event, why do we not say so openly and create a new competition instead of doing it by stealth? Justifiably the Twitter community has been discussing the Eurovision 2016 song contest, making fun of Australia’s participation. I understood from years way back, that under the rules of the European Broadcasting Union politics were to be kept out of song lyrics in this competition of songs? Perhaps what journalist Neil Clark wrote and published in a fascinating article following the event and the song victory of Ukraine; extract below could help explain this? By Neil Clark Journalist , writer, broadcaster, blogger who writes for many well known UK newspapers and TV and wrote a penetrating article published on RT and below is a short extract. What helped Ukraine ‘win’ were the ‘national juries’ panels of so-called ‘music industry professionals’ who were given 50 percent of the votes and who only put Russia in joint fifth place, with 81 fewer points than Ukraine.” End of extract. Thousands have signed an online petition calling for the results of this year’s Eurovision Song Contest to be revised. The petition laments national juries’ votes interfering with the popular opinion, granting victory to Ukrainian entry Jamala. The petition ‘Make Eurovision Song Contest revise the results of the song contest 2016’ was submitted by user Arthur Hovhannisyan, from the Armenian capital, Yerevan, two days ago and targets the European Broadcasting Union. The author insists that the final outcome of the winning places went against the actual will of the contest’s viewers.